Methuen Police surrounded a rooming house. Authorities are looking for a man in connection with the investigation. 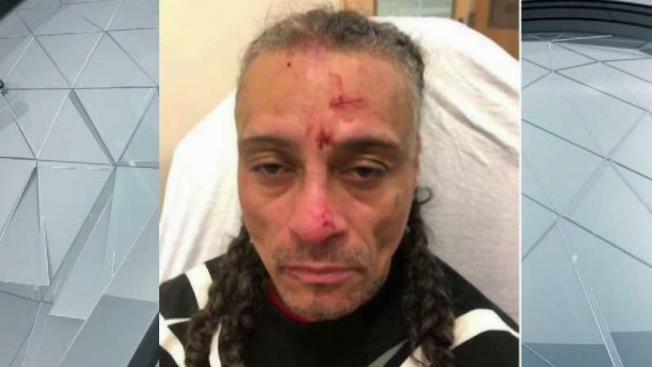 Police have arrested a man after an alleged break-in prompted a SWAT situation Tuesday in Methuen, Massachusetts. A SWAT was called in to help resolve a standoff with a possibly armed suspect who allegedly broke into an apartment and stole various items. The standoff began around 10:30 a.m. on Broadway. Although police cleared the scene without the suspect in custody, thanks to surveillance footage, they knew who they were searching for. The wanted man was identified later Tuesday as 44-year-old Jouseph Caraballo of Methuen. Around 8:45 p.m., police announced Caraballo had been arrested after a resident recognized him from the press coverage. Just last week, another SWAT situation took place at the same house for a report of a man with a gun. People in the area are frustrated. "I really hate to say that Methuen's a little too far gone at this point," said neighbor Kaylie Demurs. "I mean, it's kind of been years of dealing with this kind of stuff around here." Methuen Police Chief Joseph Solomon said he was working on solutions, and that he met with the city Tuesday morning about nuisance properties.